Save time and hassle and book 3 Tours in one booking with our Underground/Honda Bay/ Firefly Watching Combo Tour for only 5,008PHP per person (**No Hidden Charges**) !!! One of the things our travellers have told us is that they would have preferred if they could book all their tours under one booking reference. Whilst our system does allow this through the ‘Add Tours & Book’ tab on each page, we have obliged by also introducing the ability to book 3 tours in one here. This is for greater convenience only and does not offer any savings when compared to booking tours individually. How to Book: Just select the date when you will arrive or plan to start taking the tours and then tell us, on the 2nd page of the booking form what date and time you will leave. 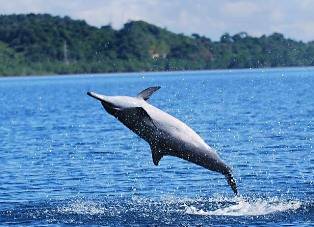 This information will help us to set the best itinerary for all the tours for you. This Whole Day Tour takes you to Sabang, by van, and then on a boat and canoe journey into the first 1.5 kilometres of the cave. Experience the beauty of Stalagmites and Stalactites which took thousands of years to form, and admire the Swift and Bat populations that inhabit the cave. 45 minute Canoe Tour of the Underground River. Framing the rocky and fascinating coastline of the capital of Palawan is Honda Bay. Its blue cool waters are scattered with islands that guarantee a pure-pleasure experience. From snorkeling in clear waters around some of the smaller islands in the Bay, to simply enjoying a picnic on the fine sand of one of its beach areas, Honda Bay is sure to leave a lasting impression. All Tours include a complimentary free pick-up service from your hotel to the drop-off point. The price quoted is based on travellers staying in a hotel located in Puerto Princesa Town Proper. There may, therefore, be an additional or reduced fee for travellers who are staying in hotels outside of central Puerto Princesa or in Sabang. Travellers taking this Bundle should be staying at Puerto Princesa for at least 3 Nights with a Departure from PPS, not earlier than 6.00PM. – Take Underground River Tour or Honda Bay Island Tour. Please advise which you wish to take when (i.e URT on 2d Day then HBT on 3rd). – If you don’t want to take the Firefly Watching on the 1st Day, then you may take it on the 2nd Day instead after taking either the Honda Bay or Underground. 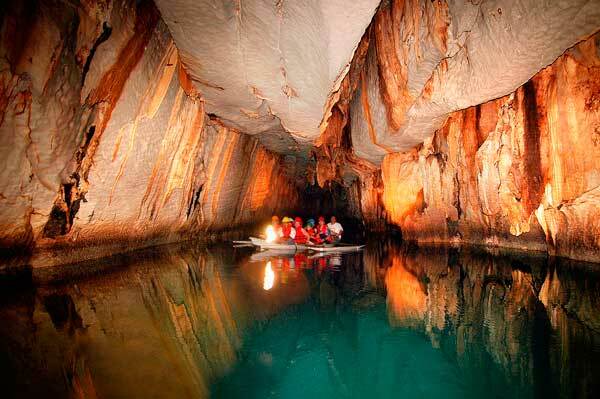 – Take Underground River Tour or Honda Bay Island Tour. Please advise which you wish to take when (i.e URT on 2nd Day then HBT on 3rd). – Departure. As advised, if you plan on departing on the 3rd Day, please make sure that your flight is not earlier than 6.00PM. Note: We may have to change your preferred schedules/Itinerary depending on the availability of the Tours or your arrival/departure area. Children who are 2 years and below will be free of charge, except for the Underground River Tour. Children who are 2 years and below are not allowed to enter the cave. Children who are 3 – 5 years old will be charged at a deducted price. Children who are 6 years and above are considered as adults and will be required to pay the adult rate. Cancellation by guests, for the Underground River Tour shall be subject to a cancellation fee of Php 300 per person once the Visitor’s Entry Permit has been secured.